Hello there. How are you doing this week so far? Great, I hope! Did you happen to read the guest post, De-stress Yourself With A Hobby, by Lori Hutchinson from Masters in Teaching? If you didn't, you might want to read it. She talks about doing what makes you happy, how it gives you peace, and how it is a factor in stress management. I love, love, love her article because I know, without a doubt, that living with happiness and peace is the opposite of stress, it is destressing yourself. What I also know, without a doubt, is that if you find out what your purpose and passions are, you will live a magnificent life full of happiness, energy, vitality, and wholeness. When I was very young, I knew that I loved, loved, loved to help people. That is my purpose and passion. As I got older, my helping people evolved. When I was younger, I always helped the underdog at school, the one who was always picked on. Because I had bigger brothers, no one would mess with me, and I took advantage of that by helping the person who got bullied. As I worked as an EMT, I noticed that people in the Emergency Field were seriously unhappy, and unnecessarily angry. 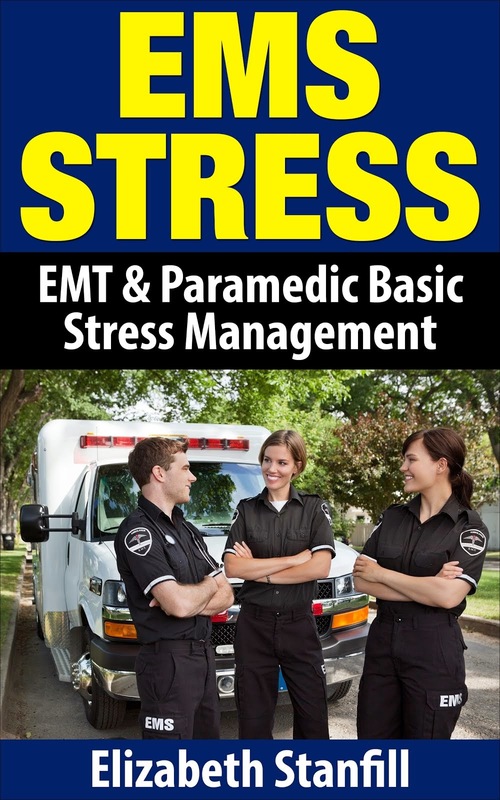 Many Fire Fighters, Nurses, Paramedics, Police Officers, and EMT's had horrible ways of handling their stress with anger, anxiety, and pure unkindness for others. This was so heart breaking because their behavior, to the normal person, was extremely extraordinarily abnormal but they couldn't see it. When I first started to help the Emergency Personnel with crisis, it was a miracle. It was a miracle because they could find happiness amongst all of that crazy anger. That is how my passion and purpose evolved from helping the underdog to helping the hero go from crisis to calm. Although I still get to help the hero, I also have the opportunity everyday to help the Father, Mother, Child, or Grandparent destress. I have the opportunity to help the teenager, or adult destress. My passion is destressing people, and my purpose is to destress the world ;0) (Just watch me now)! As I live my passion and purpose, I see happiness all around, I feel energy for life everyday, and I have pure vitality for life. Sure, I have my stress, everybody does, but as we find what we love to do, and live it, we become less stressed. What I am trying to add to Lori's article is, find out what you love to do, and if you already know what it is, start to participate in it. If you do that, I promise you that you will destress yourself. What would you do everyday, if you could? Do you know? If you do, are you doing it? Just some things you can think about as you destress yourself. Whatever your purpose, whatever your passions, they are our gifts from God, and they are there so that we may use them to serve one another, not just ourselves. I KNOW THAT THIS IS SO!!! Have a super duper rest of the week!! !